We all know to avoid junk food. That’s easy (well, at least in theory!). To be healthy, stay away from empty-calorie processed food (such as those tempting vending machine selections) and choose real food – wholesome and homemade, with real ingredients that you can actually pronounce. But what if you could take healthy eating to a whole new level? What if you could use certain foods almost as medicine, to protect yourself, at least to some extent, from serious diseases such as heart disease and cancer? We used to think of foods in terms of their macronutrients (carbohydrates, protein, fat) and in terms of vitamins and minerals. But as science keeps evolving, we are discovering that some components of food may actually play an important role in helping our immune system and decreasing the risk of cancer. Phytochemicals are chemicals found in plants, especially brightly colored fruit and vegetables. They protect plants against disease. When we eat these fruit and vegetables, we too receive some protection against disease. 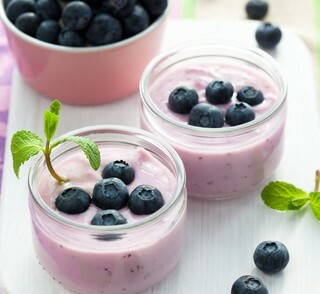 We now know that our gut health influences our general health and well being, and so foods that support gut health – prebiotics (such as the resistant starch found in cooked and cooled potatoes) and probiotics (found in high-quality yogurt) are also essential to our health. Research shows that omega-3 fatty acids can reduce tumor development in breast and prostate cancer. We must get omega-3 fatty acids from foods – our body cannot make them. 1. Eat a variety of brightly colored vegetables and fruit, including tomatoes, oranges, broccoli, carrots, spinach and berries. 2. When cooking, use onions and garlic – both contain Allicin, a phytochemical that blocks toxins. 3. Seafood, especially cold-water fish like salmon, mackerel, sardines and herring, is a great source of omega-3 fatty acids, as are omega-3 enriched eggs and milk. 4. Drink tea (black and green) and red wine – both contain flavanoids, thought to protect against cancer and heart disease. 5. Enjoy high-quality yogurt that contains live and active cultures – the living organisms that convert milk to yogurt during fermentation. These organisms adjust the microflora in our intestines, help digestion and strengthen our immune function. 6. Enjoy potato salad (made with Greek yogurt of course!) and sushi. Potatoes and rice, when cooked and cooled down, develop gut-beneficial resistant starch. 7. When it’s time for dessert, choose dark chocolate (70% cacao or higher)– it contains flavanoids. As you can see, superfoods are not just healthy – they are also yummy! Berries, dark chocolate, Greek yogurt and seafood – what’s not to like? So next time you’re at the grocery store, be mindful of what you place in your cart, and make sure empty calories are replaced by these nutritional powerhouses.